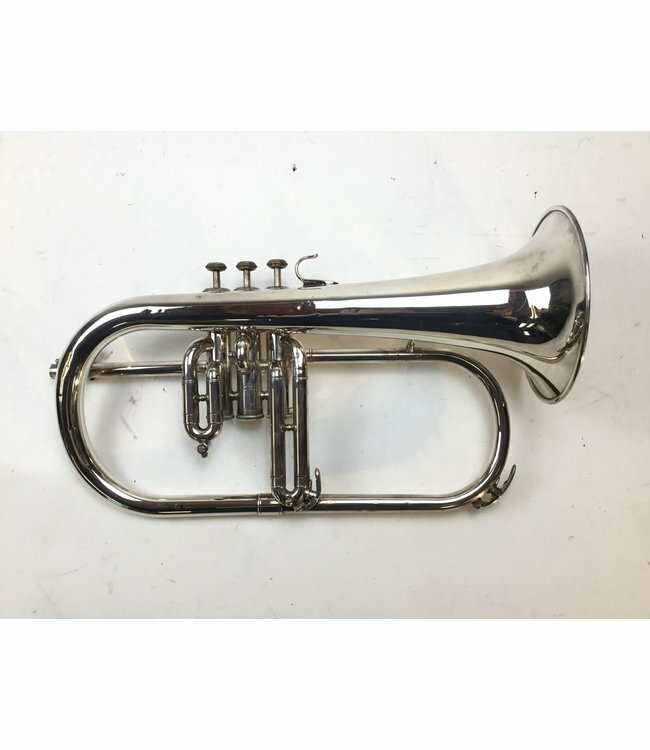 Used Yamaha YFH-731 flugelhorn in silver plate. This instrument is in overall good condition with minor wear and signs of use throughout, not affecting playability. Amato style water key added to first valve slide. No case.